The use of untreated sewage in agriculture is gaining attention as a result of rapid urbanization and increased global water scarcity. However, the incidence of waterborne infections among farmers in such areas is increasing due to the exposure of contaminated sewage. 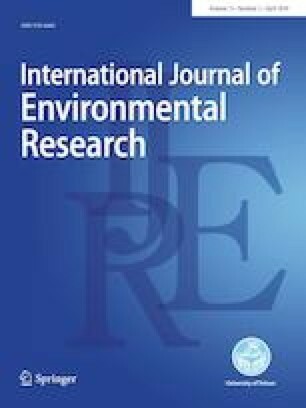 The aim of this study was to estimate the risk and health impact related to waterborne infections in farmers using agricultural drainage wastewater (ADW) for irrigation in the West Nile Delta. A total of nine viruses were detected by quantitative PCR and quantitative real-time PCR in ADW samples collected from the Dishody drain, which was found to be the most polluted branch drain in the region through a water pollution survey. The results of quantitative microbial risk assessment and disability-adjusted life year evaluation indicated that ADW of the Dishody drain is not acceptable for irrigation reuse. A water recirculation system including appropriate sewage treatment technology must be quickly installed to reduce microbial risks for farmers in the West Nile Delta. QMRA on Egyptian agricultural drains was evaluated. Results of QMRA and DALY evaluation indicated that ADW from the Dishody drain is not acceptable for irrigation reuse. A water recirculation system must be quickly established to reduce microbial risks for farmers in the West Nile Delta. This work was supported by JSPS KAKENHI (Grant no. 15H05339) and the Program for the Strategic Promotion of International Cooperation to Accelerate Innovation in Developing Countries of Japan Science and Technology Agency (JST).